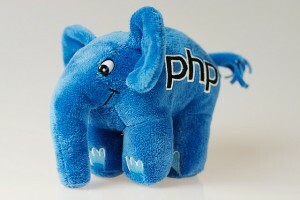 PHP gains some modern features as it heads to a 7.0 release. I think most programmers have come into contact with PHP at some point, editing a WordPress plugin or getting PHPMyAdmin running on a server. We think we know what PHP is, but the language has been very quietly growing up over the last few years, so here’s some headlines that you might have missed. PHP has always had frequent patch releases, but now its minor releases are approximately annual. This means that the differences between the versions, and therefore the painful experiences of an upgrade, are much reduced. It also means that there’s probably a relatively new version available at the time when a distro is rolling its new release. PHP has also developed much greater consideration for its users when upgrading. From PHP 5.3 there is an error_reporting level, E_DEPRECATED, which will log any features you are using which will be removed in the next version of PHP. Nothing gets removed in a minor version that wasn’t already planned to be removed before the release of the previous minor version — so fewer surprises for those of us in userland. As a software developer, you are no doubt familiar with the process of abstracting away unnecessary detail in code — imagine if that same principle were applied to application hosting. Say hello to Platform as a Service (PaaS), which enables you to host your applications in the cloud without having to worry about the logistics, leaving you to focus on your code. This post will discuss five ways in which PaaS benefits software developers, using the open source OpenShift PaaS by Red Hat as an example. Most of us don’t become developers to do system administration, but when you are running your own infrastructure you end up doing exactly that. A PaaS can take that pain away by handling pesky config and important security updates for you. As a bonus, it makes your sys admin happy too by allowing you to provision your own environment for that killer new app idea you want to tinker with, rather than nagging them for root access on a new VM. That -s on the end is telling the platform to make the app auto-scaling, which I will elaborate on later; yes, that’s all it takes. RHC (Red Hat Cloud) is just a Ruby Gem wrapping calls to the OpenShift REST API. You could also use the OpenShift web console or an IDE plugin to do this, or call the API directly if that’s how you roll. The key technologies in play here are just plain old Git and SSH — there’s nothing proprietary. The Oracle at Delphi spoke just one language, a cryptic one that priests “compiled” into ancient Greek. The Oracle of Bacon—the website that plays the Six Degrees of Kevin Bacon game for you—has, in its 20-year existence, been written in six languages. Read on for the history and the reasons why. The original version of the Oracle of Bacon, written by Brett Tjaden in 1995, was all C. The current version, my stewardship of it, and my revision control history only go back to 1999, so that’s where I’ll start. In 1999, I rewrote the Oracle… still entirely in C. Expensive shortest-path and spell-check algorithms? Definitely in C. String processing to build the database? Also C! Presentation layer to parse CGI parameters and generate HTML? C here, too! Why C? The rationale for the algorithmic component was straightforward: the Oracle of Bacon ran on a slow, shared Unix machine that other people were using to get actual work done. Minimizing CPU and memory resource requirements was the polite thing to do. I needed a compiled language that let me optimize time and space extensively. The loops all counted down, not up, because comparing against zero was fractionally faster on SPARC. It had to be C.
But why were the offline string processing and the CGIs in C? Mostly, I think, to reuse code from the other parts of the code base and from previous projects I’d written when C was the only language I knew. As the site added features, I got tired of writing code to generate HTML in C. I wrote new CGIs, then rewrote existing CGIs, in Perl. Simply put, writing the CGIs in an interpreted language made me more productive. I had hash tables and vectors built into the language and CGI support a simple “use” statement away. I didn’t have to compile on one server and then deploy to another—I could edit the CGIs right there on the web server. Good deployment practices it wasn’t, but it made me more productive as a programmer, and the performance of the CGIs didn’t matter all that much. Hack — PHP with types, generics, collections, lambdas. From Facebook. Solve Hard Things Early — Build great habits around communication and decision-making when everyone still knows each other well. Marginally Useful (Paul Ford) — The last two decades have suggested a post-scarcity economy, where infinite copies of attractive digital things have a price approaching $0. Maybe that was merely a passing moment that we will look back upon with wonder once limited coins enforce scarcity—once the owner of a piece of digital art can look upon it with satisfaction and know with total, cryptographic certainty that because he paid for it, it belongs to him and no one else. Go Pipelines and Cancellation — Go’s fascinating me, as an example of a language designed for concurrency and syntactic familiarity. The programming language many love to hate is experiencing a renaissance. This is not your parents’ PHP. The new PHP is a more mature language with community standards, a growing affinity for interoperable components, and a passionate movement to improve performance. If you have bypassed PHP for alternative languages, or if you are a PHP veteran unaware of recent changes, you owe it to yourself to give PHP a second look. PHP 5.5 (the latest stable build as of this writing) has made major progress from earlier versions. Recent PHP releases contain powerful new features and helpful developer tools, such as a built-in web server, generators for simpler iteration, and namespaces. With PHP 5.4, traits were introduced (a la Scala or Perl) to allow code reuse in single inheritance languages, as well as closures, which allow you to code PHP in a functional style. Other important features include the built-in FastCGI process manager and phpdbg debugger, and a new password hashing API that makes it easy to hash and securely manage passwords in PHP. Editor’s Note: The following excerpt is from the third edition of PHP Cookbook by David Sklar and Adam Trachtenberg. For those already familiar with PHP, PHP Cookbook shows you how to overcome specific problems in your everyday work. Programmers coming from other languages will also find recipes helpful which demonstrate how to accomplish a particular task in PHP, such as sending email or parsing JSON, that you may already know how to do in another language. The recipes are self-contained in a simple problem-solution-discussion format with explanations of how and why the code works the way it does. This cookbook arms PHP developers with important information for key PHP updates, particularly data manipulation, web services, internationalization, database access, security, and testing. This excerpt, from the chapter focused on Web Fundamentals, demonstrates how to set the HTTP Status Code and how to redirect a user to a different web page than the one they requested. Portions of this chapter have been edited and condensed for the purposes of this excerpt. As anyone whose used a web applications knows, the password is still the go-to form of identification. Sure, there have been lots of improvements in the world of identify over the last few years, but there’s still a constant flow of applications and websites that rely on this tried and true method of protection. Unfortunately, because it represents a single point of failure, it’s actually one of the least secure methods for providing your user is why they say they are. There’s been a recent resurgence in alternate technologies to help protect your application’s users including a wide variety of two-factor solutions and things like federated identify providers. People are understanding more and more that a simple password isn’t enough. We see stories almost daily of some major company or group being hacked because of either bad passwords or bad password storage practices. Unfortunately, there’s only a limited amount of things you can do for the former (like more effective password policies), but there is a way to help with the second. It’s surprising to find out just how many companies and applications have made poor choices when it comes to how they protect their users’ passwords. There are even some that have made the disastrous choice to store them as plain text (it makes me cringe just thinking about it). As any PHP developer that’s been around for a while will tell you, there’s a certain kind of stigma that comes with the language. They’ll hear it from their peers using other languages that PHP is “sloppy” or that “it’s just a scripting language, not a real one.” There’s one other that seems to follow the language around as well—that it’s insecure. Sure, PHP’s not without its problems—but any language is going to have its share. Ruby’s had several major vulnerabilities in the press lately and Java has definitely had its own list over its extensive lifetime. People put down PHP for not being secure, but they forget that it’s not the language that makes for insecure code, it’s the developer.